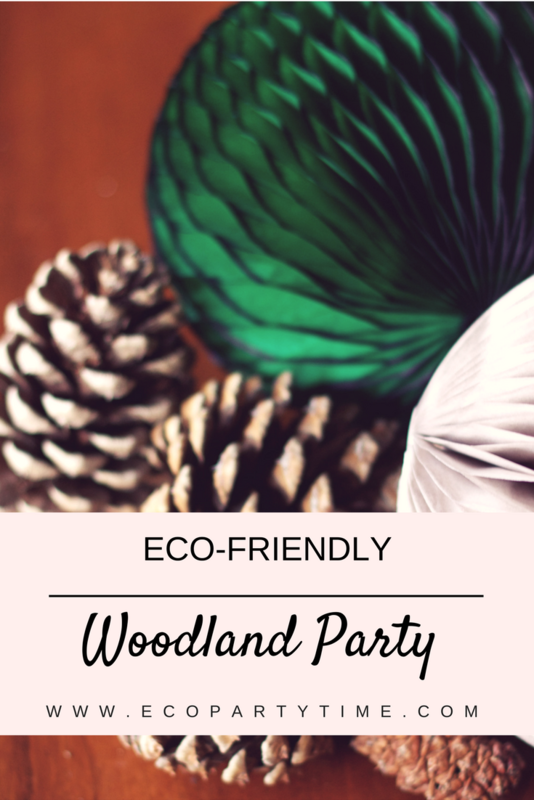 One of the first things you’ll need for this woodland occasion is decorations! 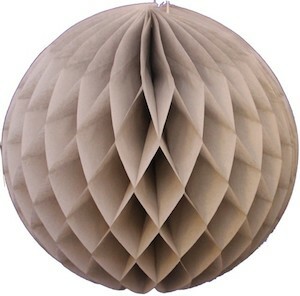 I love using Ecopartytime’s neutral colored Tissue Balls for a more rustic feel. 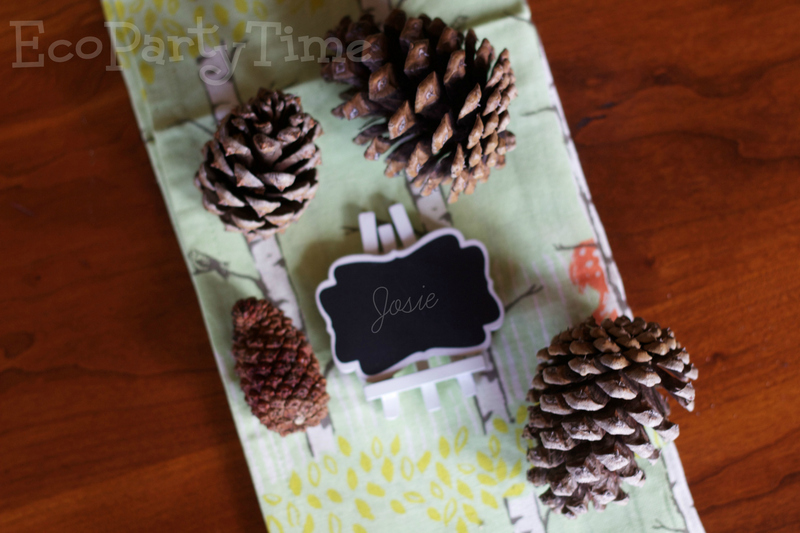 Where I live in Colorado is surrounded by big pine trees so I collected a bunch of lovely little pinecones to decorate. 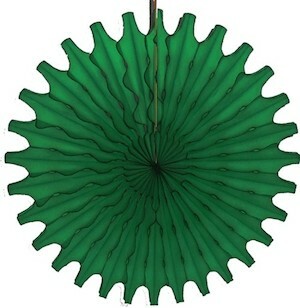 This is a great way to bring nature into your home. 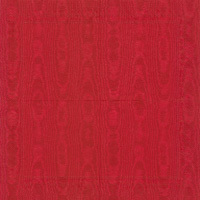 Plus it’ll save you from having to buy other decorations. 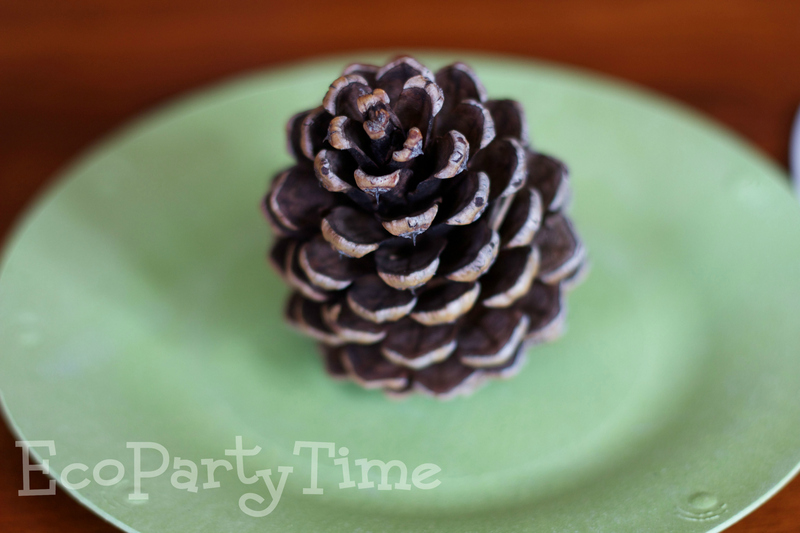 The pine cones look great with Ecopartytime’s Tissue Balls. 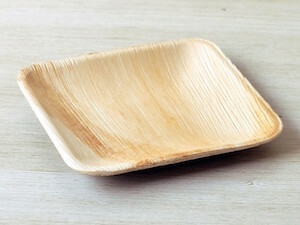 Next you’re probably going to need tableware for this rustic occasion! 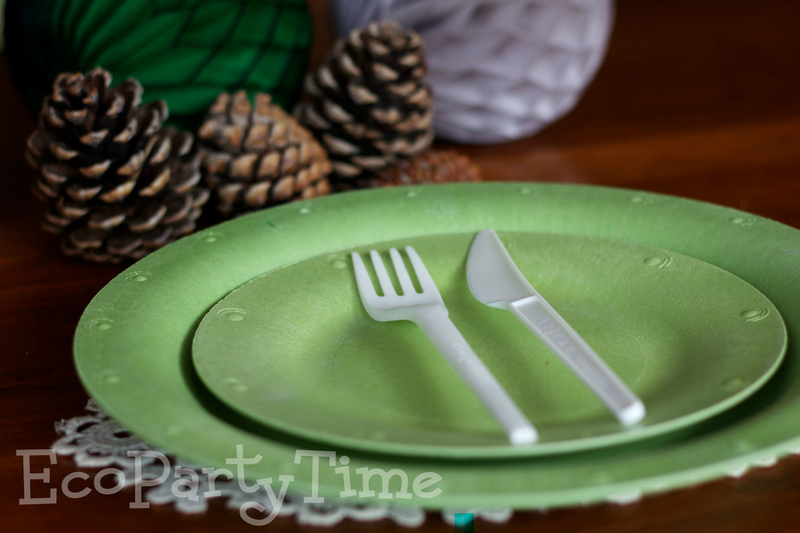 I highly recommend Ecopartytime’s Green Colored Plates and White Compostable Utensils. 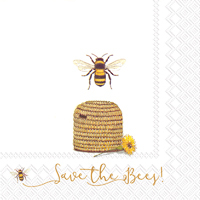 These are a great combination and look lovely with the woodland decorations mentioned earlier. 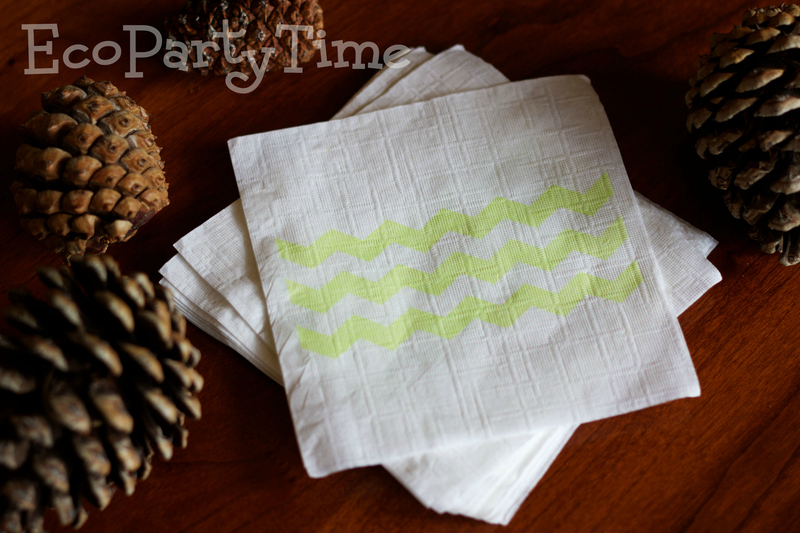 For napkins, Ecopartytime’s Recycled Green Patterned Cocktail Napkins are a wonderful choice. 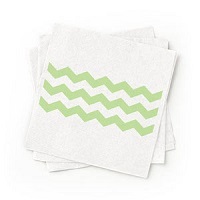 They match the Green Colored plates perfectly. 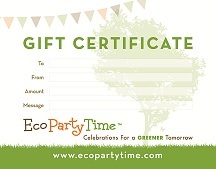 If you plan to have certain seats for each guest, then you should check out Ecopartytime’s Chalkboard Place Cards. 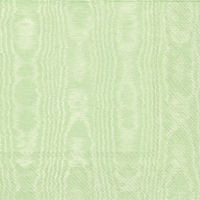 These simple place cards will add some elegance to your party. 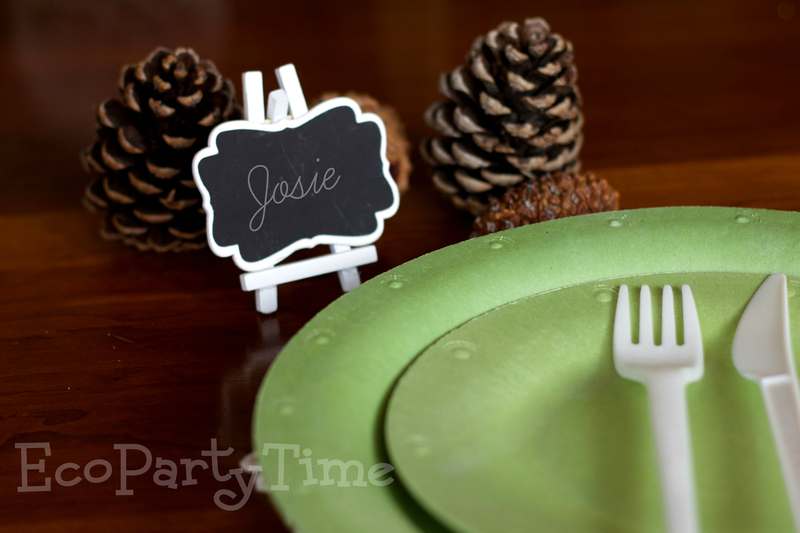 You could also use them to label certain food items if you’re planning on a buffet-style lunch or dinner! 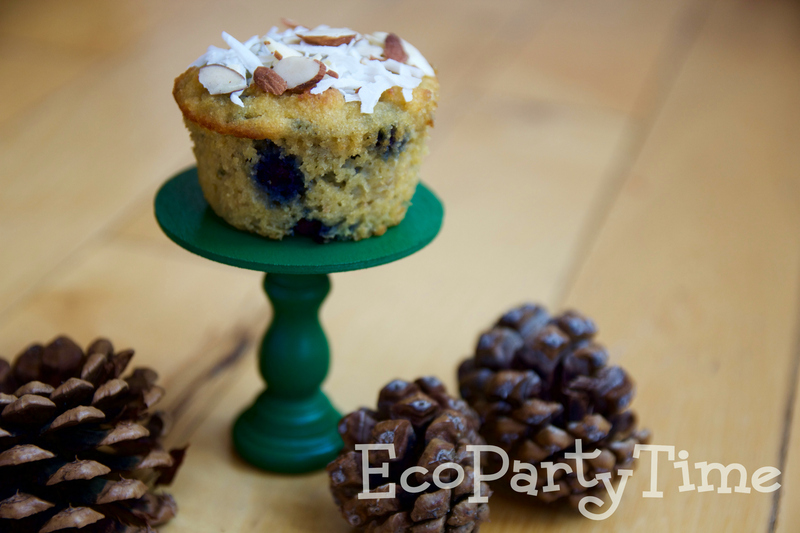 Whether you choose to do rustic cupcakes or muffins for this forest party, I suggest you use Ecopartytime’s Mini Wooden Cupcake Stands. 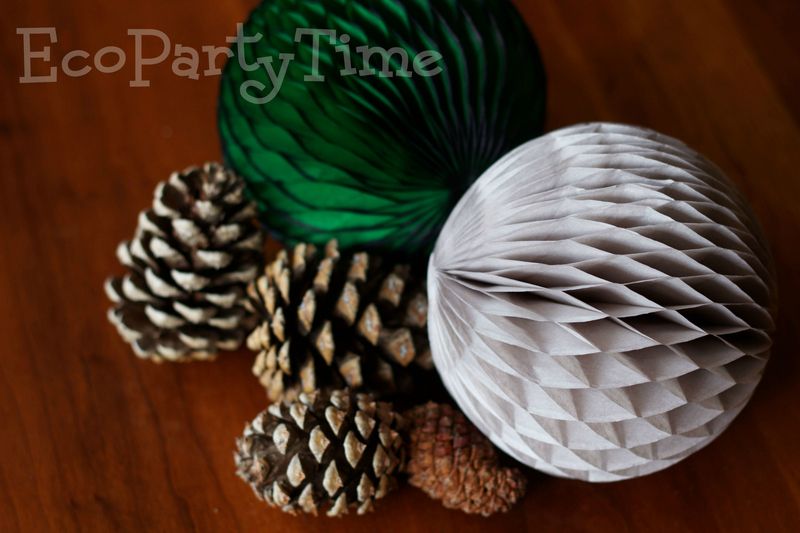 I think the forest green color looks lovely surrounded by the pinecones and tissue ball decoration. You could also get creative and use these stands for other desserts. 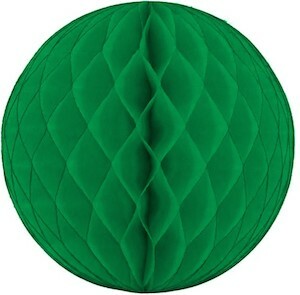 If you made little parfaits or tarts, they would also fit atop these mini stands.